Taking part in our Great Sweet Pea Challenge? 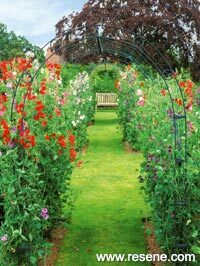 June is the time to sow your seed, so give your plants something to climb with Rose Hughes’ DIY sweet pea tunnel! 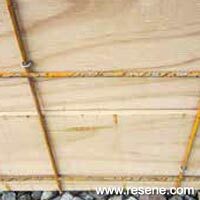 Your will need: 2 x 4.8m 150mmx 50mm dressed pine, Ply offcuts, 1 sheet of reinforcing steel, Drop saw, Screws – 10g x 100mm and 8g x 32mm, Staples, Hammer, Drill and bits, Screwdriver, Pencil/ruler/cardboard, Masking tape, primer, assorted test pots and brushes. 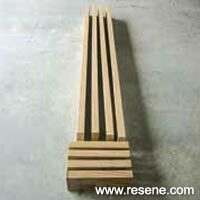 Cutting lists: Sides – 4 x 1975mm, Ends – 4 x 350mm. Cost: $250 approximately excluding paint and masking tape. Cut out all the pieces and sand the ends. Undercoat the outside faces with primer (I used Resene Quick Dry Primer) if you are going to paint them. 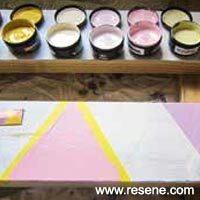 Painting: I used a triangle design (based on a tissue box pattern). Cut a 135mm triangle from cardboard to use as a template. Mark the design in pencil and then mask and paint in your chosen colours. Drill holes in each end piece and attach to the sides using the 100mm screws. 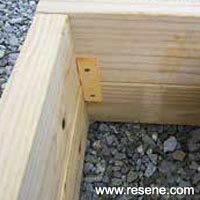 Stack the boxes and attach together using offcuts of ply and the 32mm screws. Put the boxes into position and attach the wire mesh using staples. 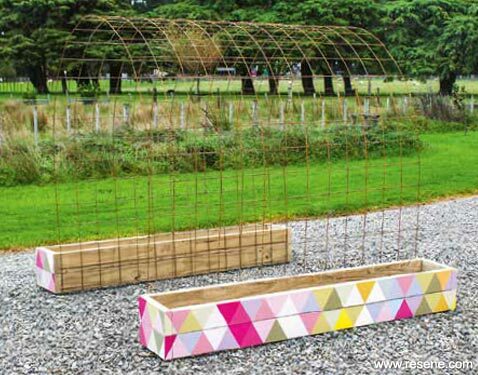 Fill the boxes with potting mix, plant your sweet peas… and wait for flowers!